Celebrate Safely on Super Bowl Sunday! McDivitt Law Firm is offering a special evening of its Safe Ride Home Program in Colorado Springs and Pueblo on Super Bowl Sunday. COLORADO SPRINGS, Colo., January 31, 2014 — Many of us in Southern Colorado are thrilled to see our Broncos in this year’s Super Bowl, but McDivitt Law Firm wants to make sure our streets are safe on Sunday, so its picking up the tab on cab rides for those out watching the game in Colorado Springs and Pueblo on the evening of the Super Bowl. It’s part of McDivitt Makes a Difference, an initiative aimed at increasing education and safety in our community. The Safe Ride Home program is through Yellow Cab in Colorado Springs and City Cab in Pueblo, and will be offered between 5:00pm to midnight on February 2nd, 2014. McDivitt launched the Safe Ride Home program in 2007 and has given more than 17,500 rides home to residents of Southern Colorado since it began. The firm will pick up the cost for any Yellow Cab or City Cab ride, as long as the passengers are headed home – the free ride is not available from the pick-up location to another drinking establishment. (See below for all the guidelines). The Safe Ride Home program is for adults who have been drinking or who don’t have another safe way home. Rides are provided to an individual’s residence—not to other drinking locations. Due to the anticipated high number of ride requests on Super Bowl Sunday, rides cannot be guaranteed for everyone who calls; however, every attempt will be made to accommodate all requests. Divers have the right to use their discretion when accepting fares. Patrons are reminded to tip their drivers accordingly. The professionals at McDivitt Law Firm work with clients who have been injured or lost loved ones in alcohol-related crashes. To assist in the fight against drunk driving, the firm encourages individuals to make responsible choices by providing free cab rides on St. Patrick’s Day, Cinco de Mayo, Halloween, and New Year’s Eve. This year McDivitt is running the program on an additional night for Super Bowl Sunday. 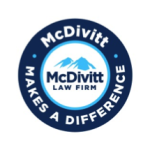 Whether McDivitt Law Firm pays for safe cab rides home, sponsors local education programs, orsupports area charities, the law firm is committed to helping others. That’s why it created McDivitt Makes A Difference—a year‐round program that encompasses all of its community efforts. To learn more, visit www.McDivittMakesADifference.com.